Today is the fifth and final day of our Mid-Summer Swoon guest blogger series. We hope you have enjoyed it as much as we have enjoyed hosting it, and we really hope that you found five new blogs to read each day! Rounding out the week is Erin from Richmond Thrifter. I just love this site and I just love Erin! Erin scours thrift stores in the Richmond area and manages to find amazing deals on things that have clearly seen better days. She has an eye for style and can see past the flaws of a piece ... and with a little vision and a lot of elbow grease and patience, she transforms sad, sorry furniture into amazing, gorgeous, swoon-worthy items! She even has a little shop in Richmond where she sells her lovely finds. So many of Erin's projects have made my jaw drop to the floor! Like this lamp base turned side table or this mid-century china cabinet transformation. 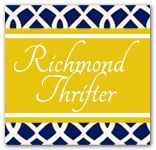 Head on over to Richmond Thrifter for a daily dose of inspiration! And now here's Erin! A hideous Ikea dresser! Not what you expected right! Isn't it one of the most pitiful pieces of furniture you've ever seen! Like, put in the Goodwill giveaway pile, pitiful! But look what you can transform these little $35 Ikea drawer chests into! 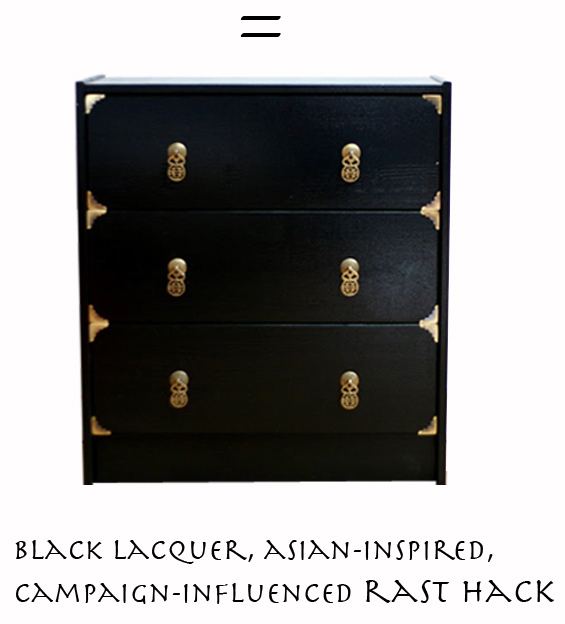 So that's what I'm swooning over lately, a boring, bland, unfinished set of drawers...with sooooo much potential! Thanks for having me today! I'm honored to be among such talented ladies this week! And happy Friday everybody! Thanks so much for having me ladies!!! I've loved reading all the posts this week!!! And honored to be a part of them! i love those hacks, too!!!! so stylish and so affordable! Wow I am going to have an entirely different perspective when I go to an IKEA! Those are awesoome!